Next morning on our last day in Reykjavik, we woke up nice and easy. 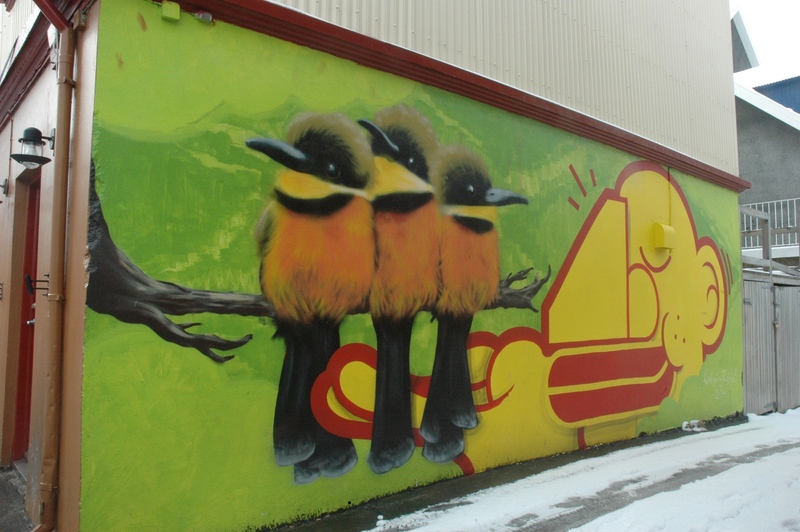 Shopping was on the list and we were also interested to check out Iceland’s street art. 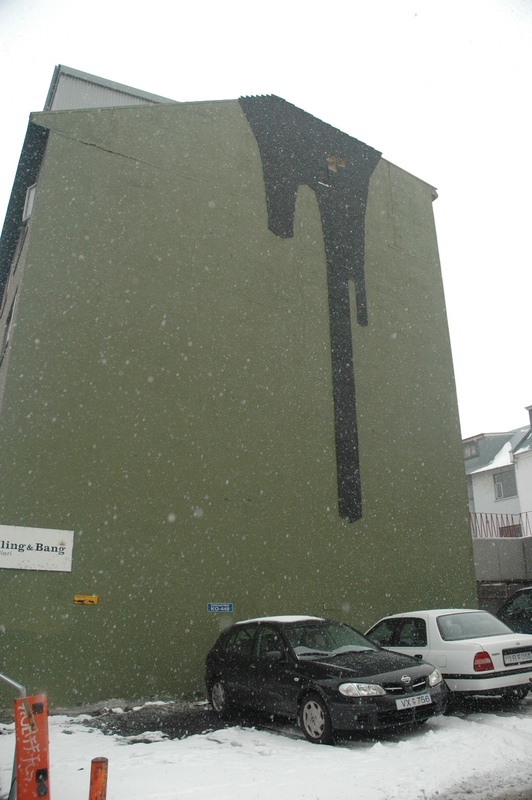 So to balance the two, we did not wander far from the main shopping street of Laugavegur. 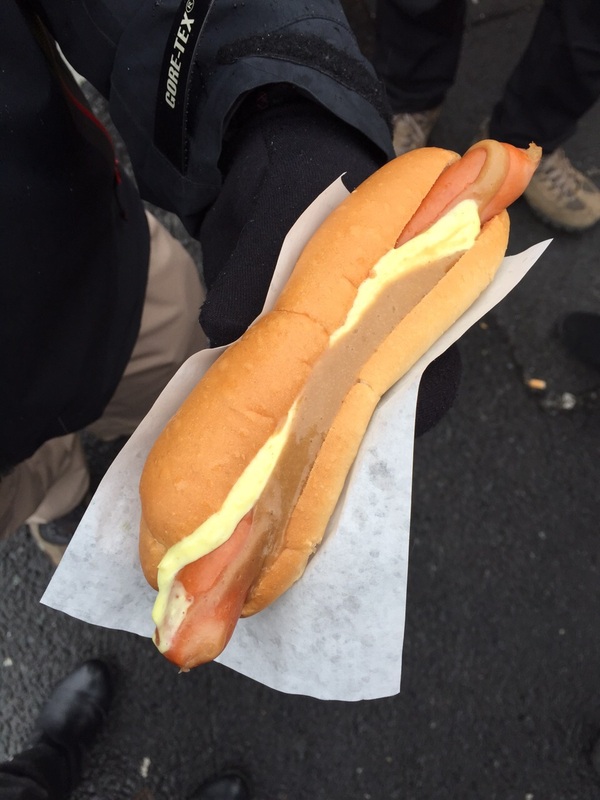 Moreover, we also wanted to check out the unofficial national dish of Iceland – the humble hot dog! 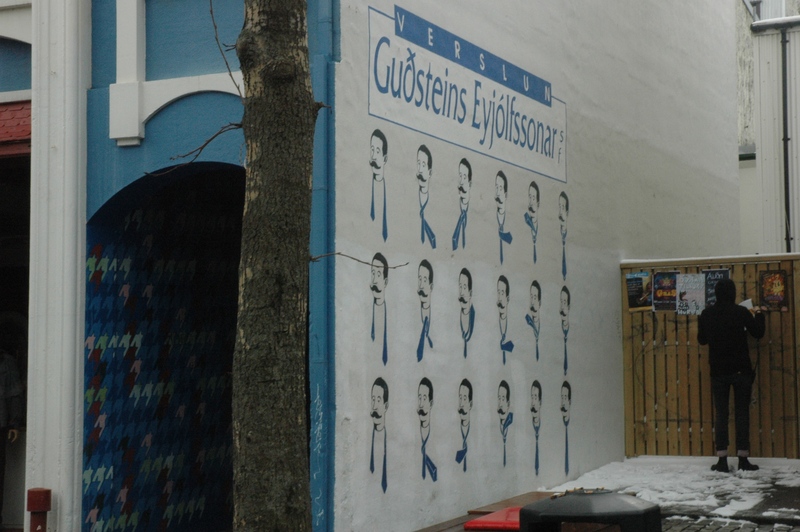 Hot dogs are not uncommon in Iceland but the best place to try it is Bæjarins beztu pylsur. And even though there is more than one of them, the stand at the harbourside is the original and has been open since 1937! 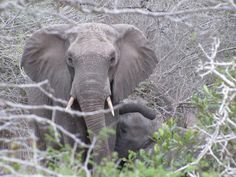 It is also believed that close to 70 percent of the 300,00 population have actually eaten at this very stand. Not to mention any number of visitors (including Bill Clinton). The statistics probably defies belief but we can definitely see the popularity. We have walked past the stand more than once during our stay here and every single time we have (including at night), there is always a queue! So, after duly waiting in line and ordering one with the lot, we have to agree that it is well worth the try ( Now we have tried Pinks Hot Dogs in LA and certainly did not think the same way. ) But this hot dog was both tasty and delicious. After wolfing ours down, we figured it has to be the ingredients. There’s the ketchup and sweet mustard. But they also have raw onions and crispy fried onions which gives it the nice crunchy texture. Top that off with the mayo sauce that contains sweet relish, It is one of the best hot dogs I have had. 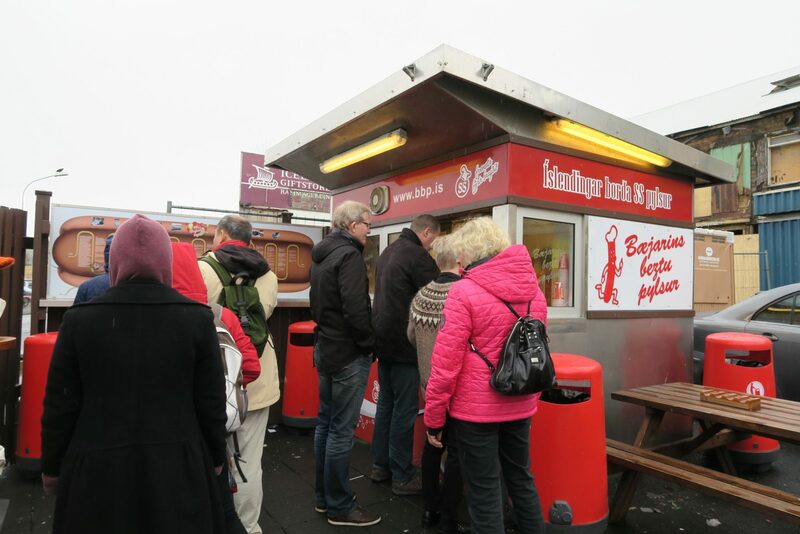 One tip if you ever are in Iceland and have a taste for hot dogs. Order TWO with the LOT! They won’t hurt your wallet (400 kronas) and you won’t regret you only ordered one! 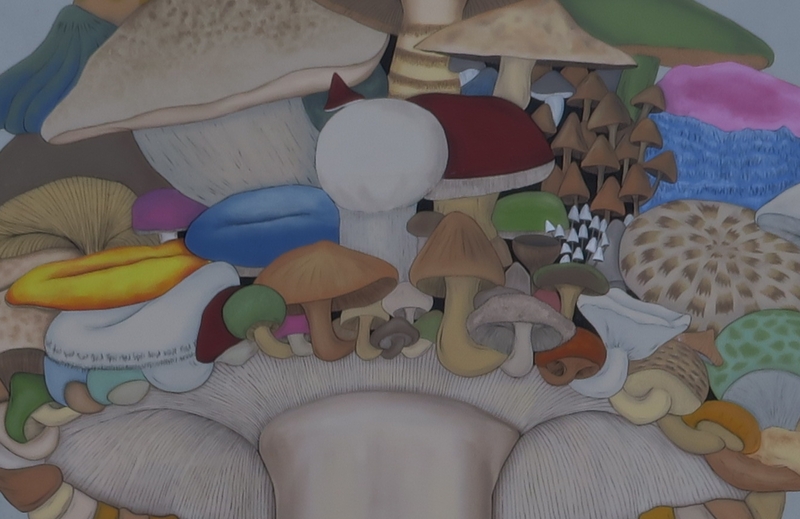 Now on to the street art. 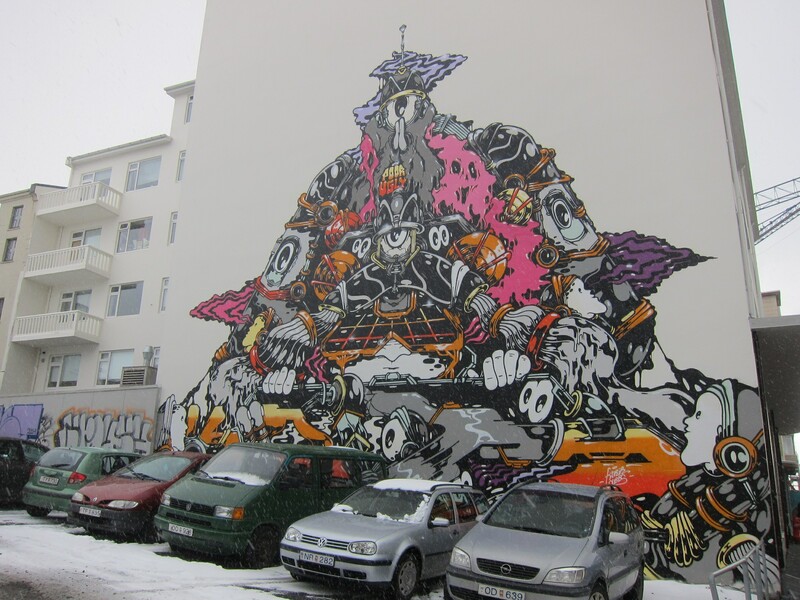 You may be surprised to learn (as we were) that Iceland has a thriving street art scene. 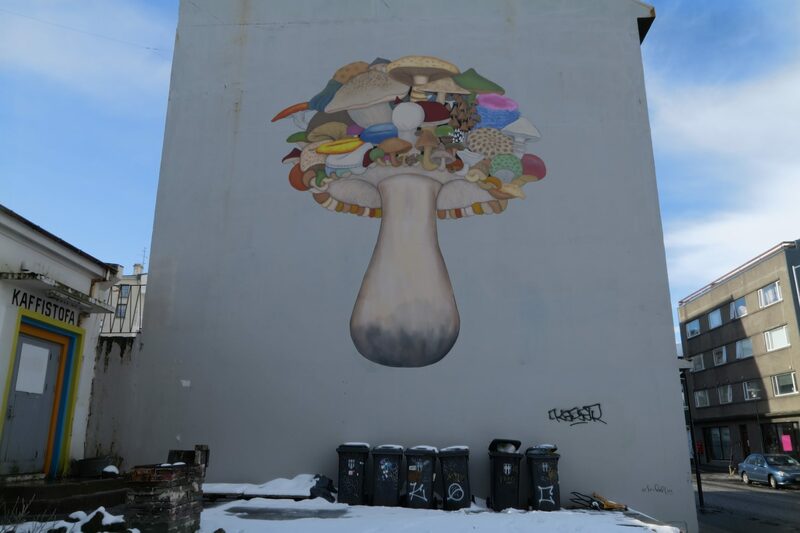 It is almost hard to ignore it when right across the street from our hotel in Hverfisgata street is Sarah Reil’s mushroom piece done in 2012 as part of a series on natural kingdoms. Then on the building right next to that in a parking lot is another huge futuristic piece which we did not know who the artist was. 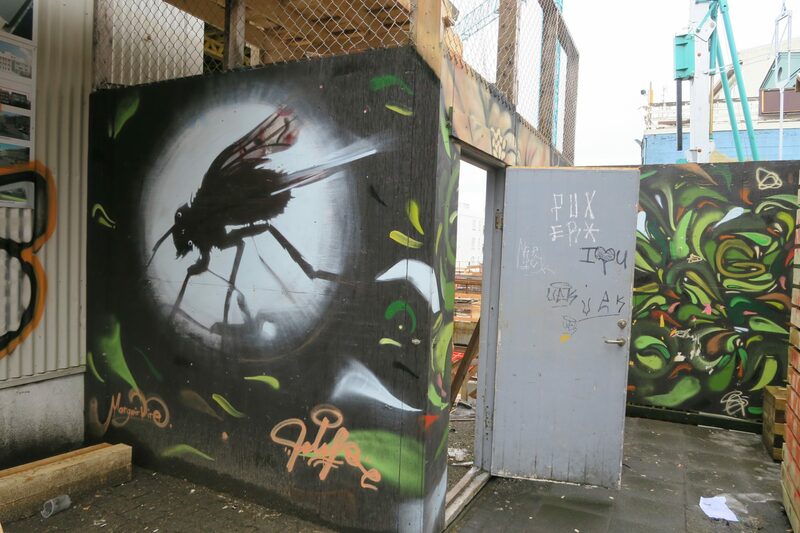 Even construction areas are not left out and normally drab wooden fencing used to wall off areas are filled with artwork. 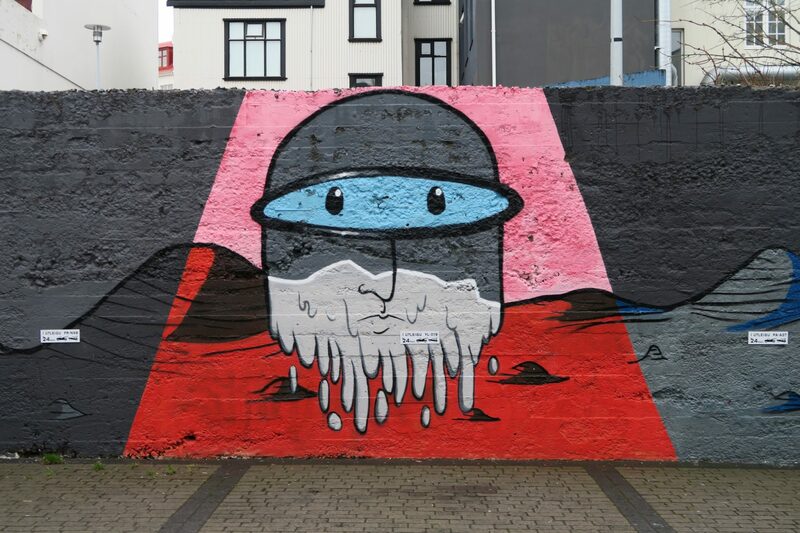 The one below is from Margeir Dire, an artist from Akureyri, the second capital of Iceland who now llves and work in Reykjavik. 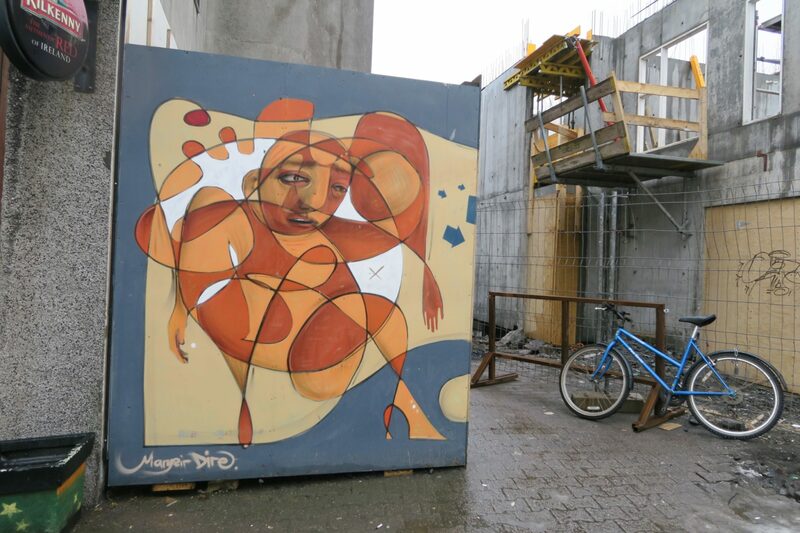 Another piece from Margeir Dire adorning the entrance to a construction zone. 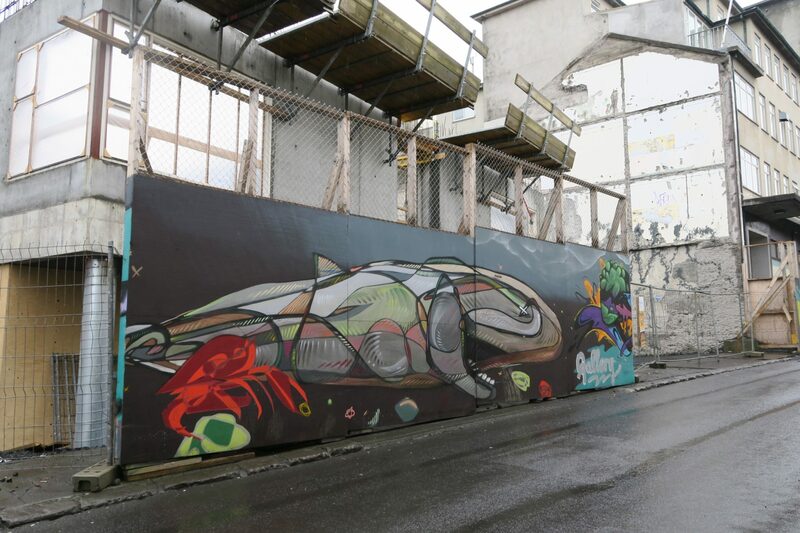 Of course wildlife, play a prominent part as well on the street art scene. Then there are commemorative pieces. This one commemorates the Sirkus bar which closed to make way for a hotel. You can see the construction going on behind it. 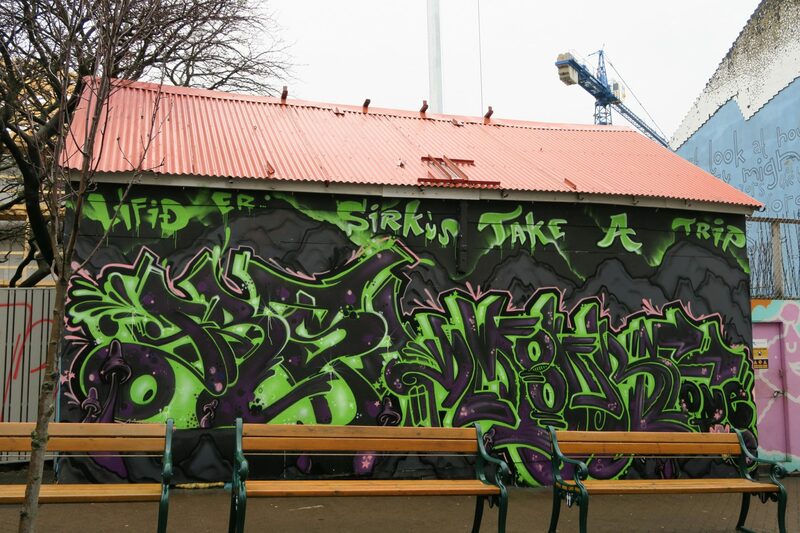 For a short period, it was the home of the Sirkus Grounds Project that brought street artists together. On the top right hand corner is a piece called glacier (2008) by Theresa Himmer from Denmark using sequins on a wall to reflect the sun. It has since faded over time but you can still see a bit of the sparkle! Another piece by Theresa Himmer is volcano also created in 2008 as part of her commissioned work known as Mountain Series. This street ark used pieces of coloured glass to form the map of Iceland. 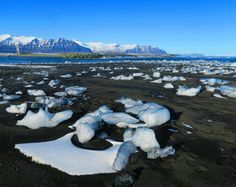 Unfortunately, a lot of the pieces have broken or fallen off but you can still trace the shape of Iceland. 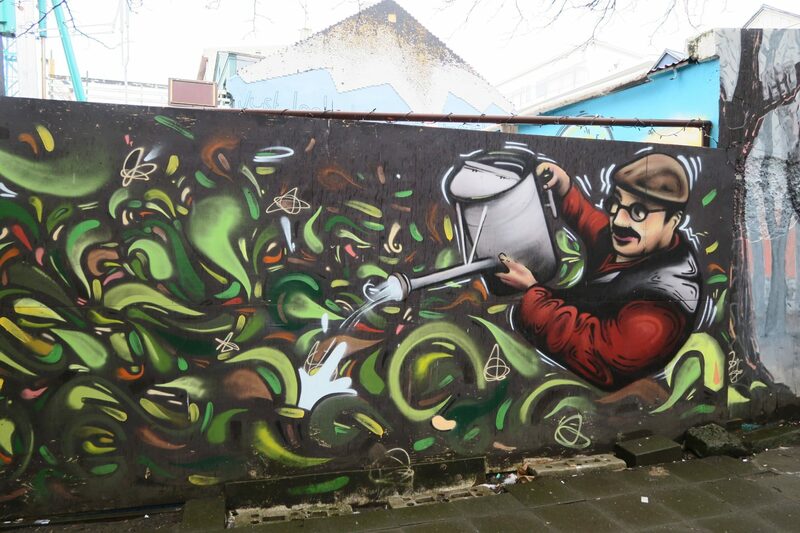 For the first time, we found street art that are instructional! This one helps you get the tie done in the morning just perfectly. And last but not least, there are also the plain quirky ones that are fun to look at. 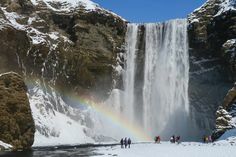 Sad to say, upon researching, there are actually a lot more on offer around Reykjavik. But it would have required a lot more time than we had on our last day. 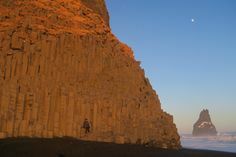 In the afternoon, we were going to the Reykanes peninsula and then the Blue Lagoon! 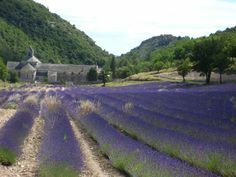 Well, like we always keep telling ourselves, it gives us another reason to come back!! Enjoyed touring street art with feet not hurting. Ordering 2 hot dogs is a great tip – wish we’d done that! !